In the days leading up to the Air Max family’s 28th birthday, Nike shared the untold story of a cultural icon — from its cutting-edge construction to its adoption around the world. In order to properly celebrate the anniversary, Nike released an all-new Air Max model, the Air Max Zero, outlined the Air Max Icons, chronicled the Evolution of Visible Air, and introduced the world to seven Air Max lovers. 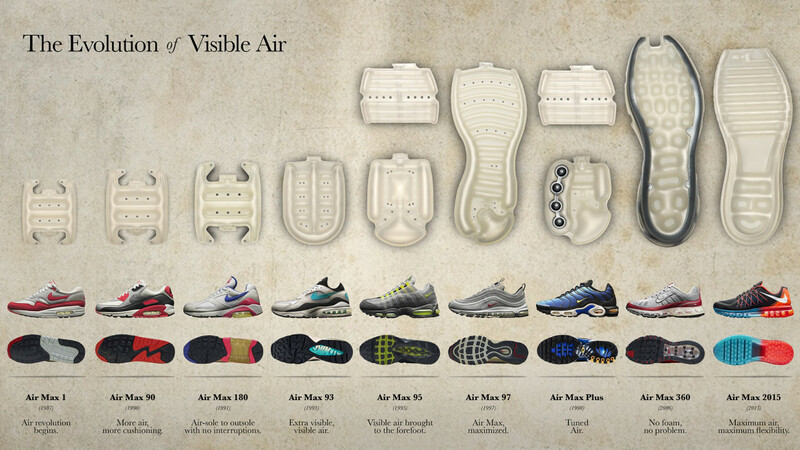 Sartoria was in charge of the “Anatomy of Air” graphics featured in Evolution of Visible Air, and the storytelling of 6 of the Air Max lovers’ stories: footballers Kyle Walker, Aleksandr Kokorin, and David Luiz, Korean actor Hae-Jin Park, Japanese sneaker enthusiast Shiho Nakamura, and Parisian artist Yué Wu.